With Mark’s CFL Week in the books, the 2018 season is finally on the horizon. 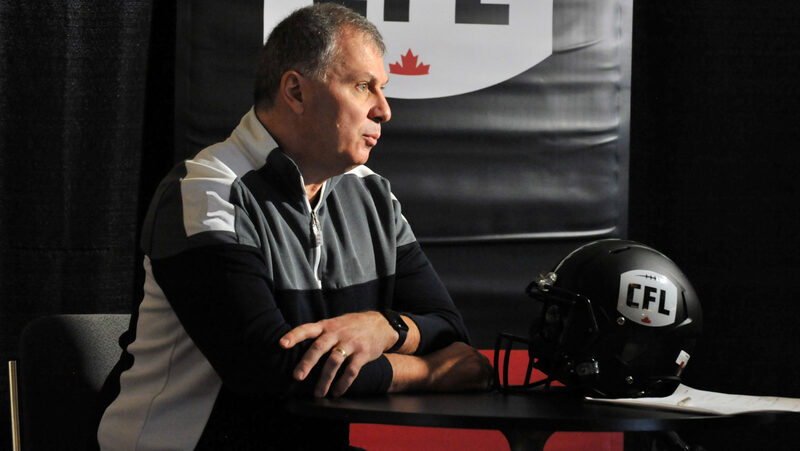 CFL Commissioner Randy Ambrosie is counting down the days in his latest blog entry, which touches on a fun week in Winnipeg, an unforgettable cross-country trip and the latest in amateur football. 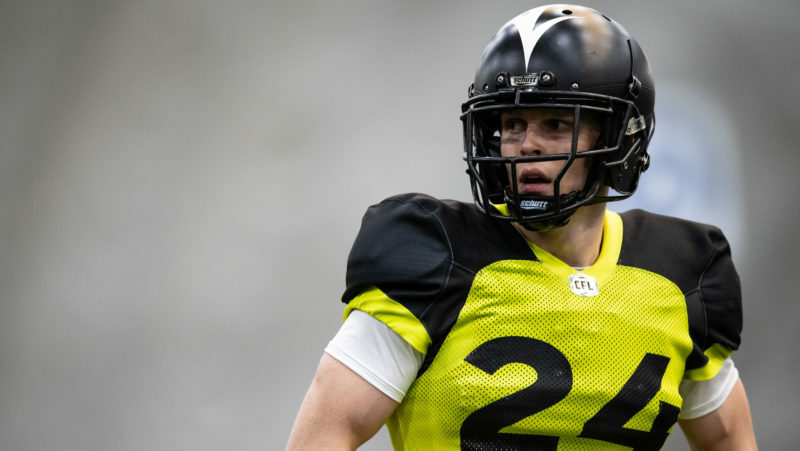 Below is his second regular feature on CFL.ca. Now that spring has sprung (on the calendar if not the weather forecast), it’s time for us to catch up a little bit. Let’s start by looking ahead. The regular season kicks off a week earlier this year, with the Edmonton Eskimos visiting the Winnipeg Blue Bombers on Thursday, June 14. That’s 69 days away. Too long? The pre-season schedule kicks off just 51 days from today on May 27 when the Riders visit Edmonton. Still not encouraged? Training Camps open in just 44 days – on May 20. Even better, the 2018 CFL Draft is set for Thursday, May 3, in just 27 days. The Alouettes, Tiger-Cats and Lions have the top three picks. It’s interesting to note that due to some transactions, the Ticats have three of the top 11 picks and four of the top 15. We have some very special things planned this season, including some league-wide themes: Family Days with special treats and events for kids and their moms and dads, and Diversity Is Strength games, where we can all celebrate the things that make Canada so special. We’ll roll out more details in the days ahead but it’s clear we have lots to look forward to, including most of all, real football! While we all miss actual football games, we in the CFL often say there isn’t really what we would consider an off-season anymore: we’re busy planning, promoting and improving all year long. We recently returned from the best example of that: Mark’s CFL Week. Winnipeg was a tremendous host for a week that was packed with content: a giant Fan Fest, the massive video and photo shoot for top CFL players hosted by TSN and RDS, the CFL Scouting Combine presented by adidas for Canadian prospects, the announcement of this year’s class for the Canadian Football Hall of Fame, and all sorts of football and business meetings. If you were one of the thousands of fans who attended one of the events, or among the thousands that watched some of the 10 hours of live programming we produced from Winnipeg, thank you! I especially enjoyed seeing so many young families and kids. I know they join me in also thanking Mark’s, our other partners and the Blue Bombers for making the week possible. 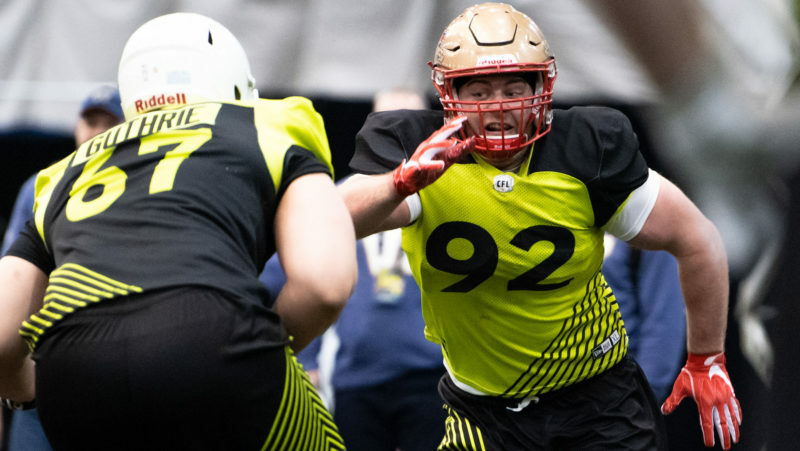 Our thanks go as well to the media from across the country who showed up in large numbers for two special media days, where they had access to players, coaches and general managers, and prospects at the Combine. They conducted more than 350 formal interviews and their coverage generated more than 217 million “media impressions” – that means those stories appeared in media regularly consumed by more than 217 million readers, viewers and visitors. We owe it to you to do all we can to stay in the news all year long. In this age of social media, we have more ways to communicate with you than ever before. But we also exist in the busiest, most fragmented and competitive media market in history. Mark’s CFL Week is just one of the things we do to remain prominent and relevant every day of the year. While I loved our week in Winnipeg, I still think my favourite thing since Grey Cup has been my road trip to all nine cities with CFL teams, in addition to Halifax. Here’s a little follow-up information on some of the issues you raised with me during our town halls. You, our fans, talked to me about officiating. Darren Hackwood, our new Senior Director of Officiating, has been working with his team on some changes for this season. He plans to have our best officials work more of our games. He wants to return to a greater emphasis on crews that consistently work together as teams. He is introducing a formal mentoring program. And he is working to expand the pool of prospects ready to step up to the CFL. Some of you told me that it wasn’t fair to expect a coach to waste his only challenge on a video review of a play that should have obviously been called differently. At their recent meeting during Marks CFL Week, our rules committee took action on this suggestion and proposed that the replay official automatically review “potential touchdowns” – plays where it appears a touchdown was scored but the play was marked down short of the goal line. Many of you expressed concern for the health and safety of our players. The rules committee is also asking our Board of Governors to approve changes that would eliminate blindside blocks, outlaw low blocks that occur outside of the “tackle box” (along and near the line of scrimmage), and widen the definition of spearing to include any situation where a player delivers a blow with his helmet. Still others approved of the idea of moving up the entire season, including the Grey Cup. That remains a work in progress – there are lots of things to consider, from the availability of training camp venues to broadcast schedules – but it remains an active file and something we are researching very carefully. Almost all of you expressed support for expansion to Halifax. Things may seem quiet on that front but that is because the bid group there is working very hard behind the scenes to put the necessary pieces – including a stadium – in place. We have a long way to go but I want you to know the fact this work is being done is very encouraging. 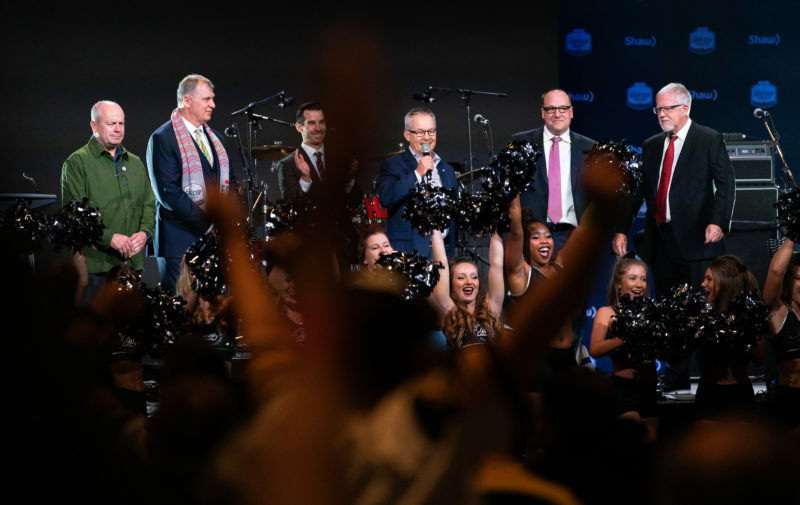 What also came through loud and clear at our town halls, and in my chats with fans at Mark’s CFL Week, and in every interaction I have with fans, is your passion for the great game of football. I obviously share that passion. Not just because I enjoy watching the game and I loved playing it, but because I really believe in football. It matters, it’s important because of what it can teach our children. It’s the most inclusive game I can think of: there is not only room, but a requirement, for different types of people of different sizes and with different skill sets. The big kid who may not seem graceful enough for gymnastics or fast enough for basketball might be the best offensive lineman on a team. But his same team will also embrace that small but talented kick returner and a long and lanky safety. I also think ours is the ultimate team game: success depends on 12 players working together and there is no better place than the football field to learn the importance of knowing your role and fulfilling your responsibility. I talked about this at Mark’s CFL Week at the Shaw Respect Camp where hundreds of local school children heard from me and our players about the values we have learned from our game. All of which is to say that is vitally important for us at the professional level to support amateur football, be it tackle or touch or flag football. Yes, it’s essential to our league’s future. But I believe it is just as important to the future of kids who can learn and grow from playing the game. Our teams and our league have long contributed to the sport at all levels. But it’s high time for us to do a better job of telling that story. So recently, I ordered an exhaustive survey of what we are all doing on the amateur football front. I was proud to then announce that last year the CFL and our nine teams contributed more than $3 million to amateur football in Canada through projects ranging from the Edmonton Eskimos’ 50/50 draws to the Lions’ Orange Helmet Dinner to the Ticats’ PlayAction program to the CFL NFL Flag Football series and so many more. All our teams support amateur football. We expect to contribute more than $3 million again this year. Football is a great and important game. We all need to support it and stand up for it. Thanks again for making all that we do at the CFL possible. It may not feel like it where you live – but the warm weather is coming, and so is football. Canadian football. We can’t wait.